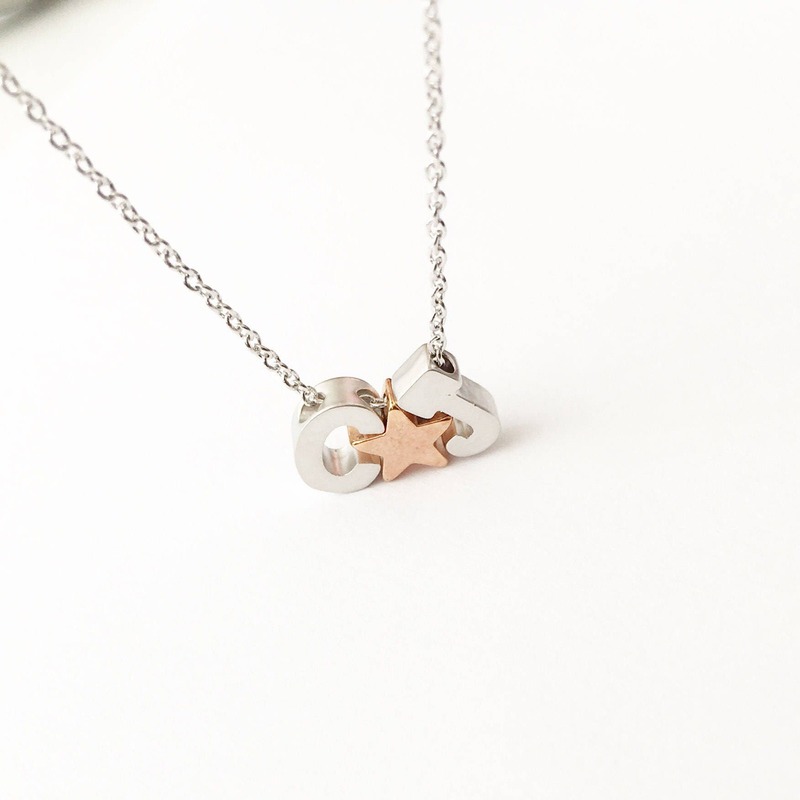 PERSONALIZED Necklace with Silver Plated Chain and Tiny silver plated Initial-Letters and shiny rose gold plated Star Symbol. 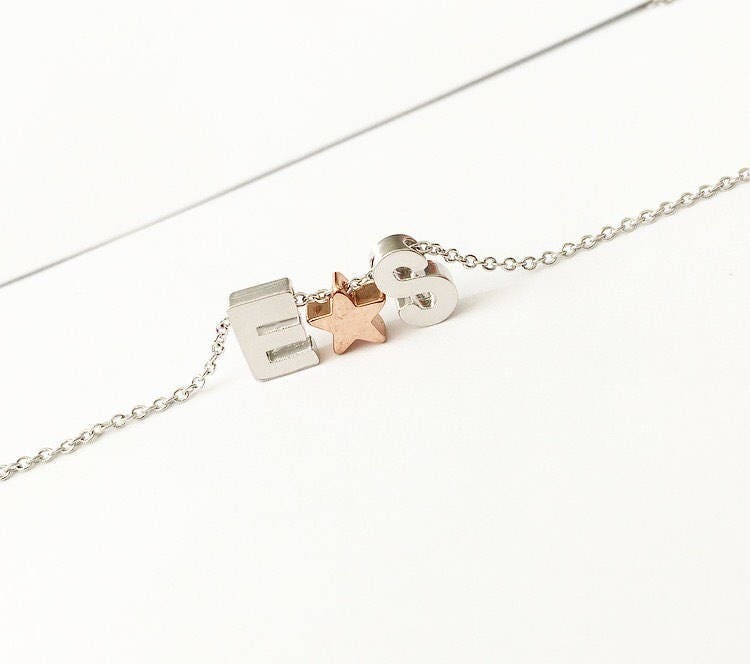 The listing is for ONE alphabet Necklace. For a minimal look!! 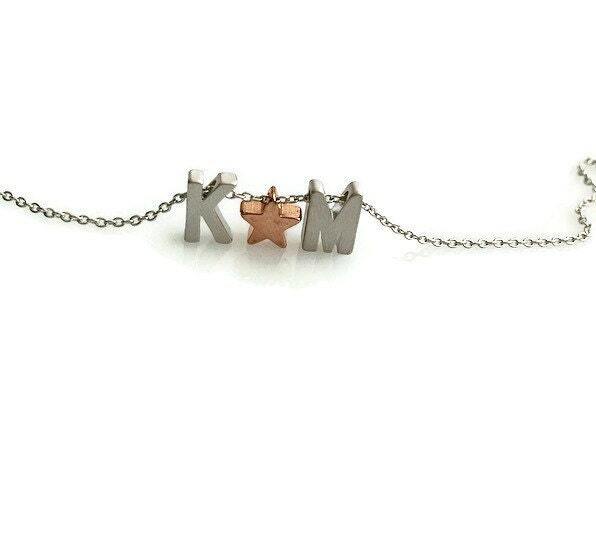 This is a beautiful dainty necklace, so cute and delicate, you can wear it alone or stack it with your other necklaces! 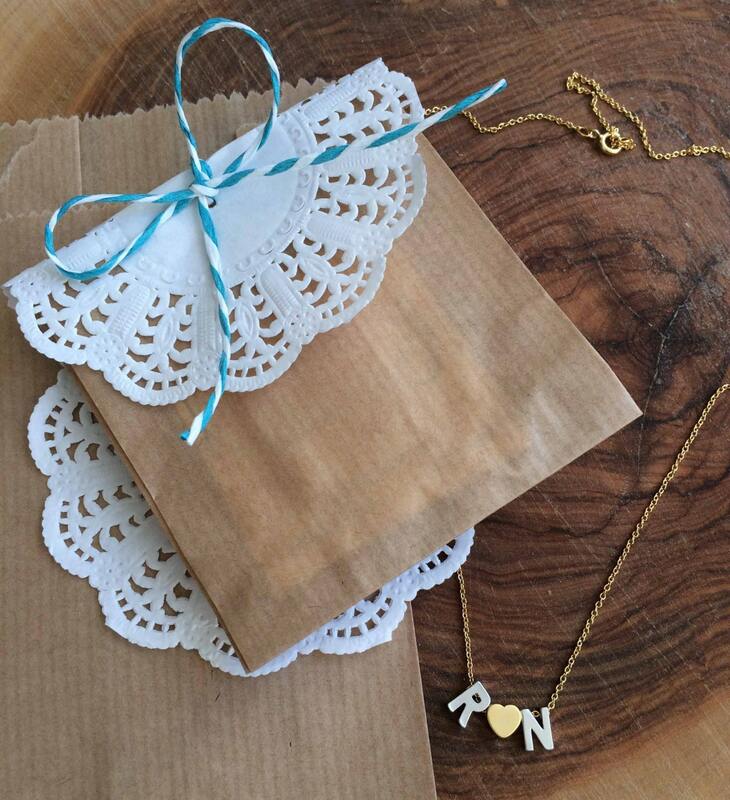 !Perfect gift for Valentine's Day!!! 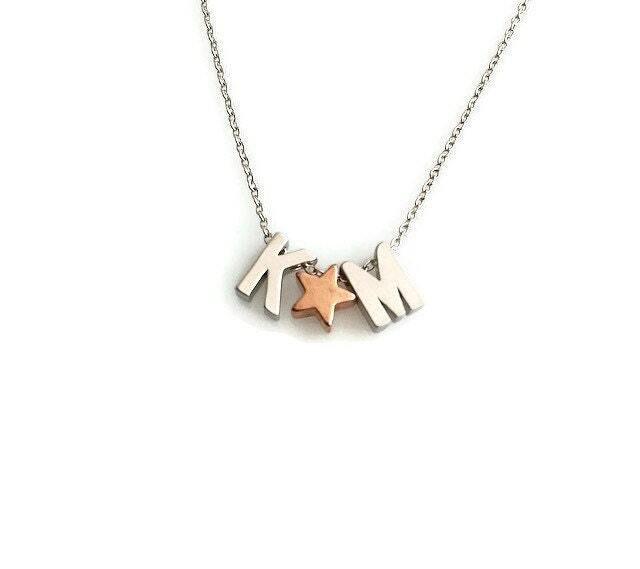 If you want 4 or more necklaces contact me for a discount!! 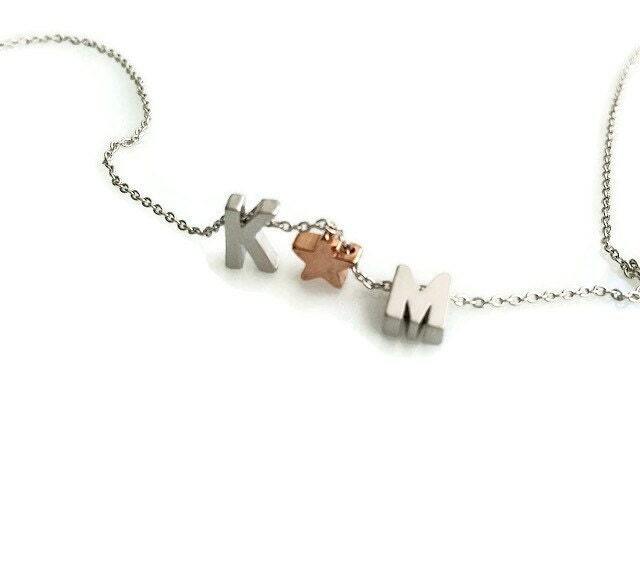 You can also make your personalized bracelet!